This show, Ice Cold Killers, holds an extra appeal for me, because of my love of cold, snowy weather. Things are even creepier when it’s dark and icy. All of the episodes I’ve watched so far have been interesting. In the early morning of February 1994, Jaquie Creazzo is on her way to pick up her father for breakfast. She sees two cars pulled off to the side of the road with a man and woman standing outside them. She slows, and the woman runs toward her car. The woman isn’t screaming, but she has a look of desperation and fear on her face. Jaquie picks her up, and the woman says the guy rammed her car and kidnapped her and raped her for two hours. Jaquie speeds off as fast as she can on the icy roads. The man comes after them. They are almost to the Thornton Police Department when he pulls up beside Jaquie’s car and fires several shots, hitting Jaquie in the knee, spine, and face. She loses control of the car and swerves across the median onto the lawn of the police department. The man parks and approaches the car. He and Jaquie exchange looks, but she is paralyzed and can only move her eyes. He is out of bullets so he can’t kill Jaquie, but he warns her that if she tells anyone what happened, he’ll kill her. He pulls Rhonda from the car and drags her away. Police and EMTs arrive and begin giving Jaquie aid. She tries to tell them about Rhonda, but they are focused on saving her life. Later, in the hospital, she is able to tell the police about the kidnapped woman, and they begin searching for Rhonda and her abductor. Rhonda Maloney is a married mom, working at a casino and planning to become a police officer. The authorities question her husband, however, in addition to not fitting the description of the suspect—a young, clean-cut black male—he is genuinely distraught. He has a solid alibi and is quickly eliminated as a suspect. One of the detectives who wasn’t available during the initial visit to the crime scene wants to check it out. While there, the officers hear a buzzing sound and locate a pager in the snow. It contains a pre-recorded message with instructions to turn the pager into the Denver PD if found. Authorities are shocked as they consider the possibility that a police officer might be behind the murder. As it turns out, the owner of the pager is a twenty-year veteran and does not fit the description Jaquie gave. The detectives look into his background and discover a prior incident where he shot his wife in the stomach, but she survived and it was ruled an accident. He has a son and a nephew who have both been in trouble with the law. His son, Robert Harlan, had shot a man to death but only served five years. Police bring him in for questioning. At first, he claims he knows nothing about Rhonda. Then he finally admits he was with her. He states that she bought cocaine from him. They partied and did the cocaine together, then parted ways, and he has no idea what happened after that. Detectives bring a photo lineup to Jaquie that includes Harlan. She identifies him without hesitation. She tells the detective that she survived so she could help stop him. She says that, when she was in surgery, she saw a white light. A voice said she could go into the light or stay. She said she knew she had to stay because she could identify the killer. They continue to investigate, looking for evidence to tie Harlan to the crime. His father turns in a bag of evidence, including a gun. The search for Rhonda continues. They still don’t know if she is alive, but in the ice cold weather, her chances of survival are slim. A week after the incident, Rhonda’s body is found. She has been badly beaten and shot three times. The ballistics are a match to the gun Robert’s father turned in. Autopsy reveals no drugs in her system, proving Harlan lied about the two of them doing cocaine together. Harlan is found guilty of the kidnap, attempted first degree murder, and first degree murder of Rhonda Maloney, and the attempted murder of Jaquie Creazzo. During deliberations on the sentencing, some of the jurors brought Bibles into the jury room, consulting the passage from Leviticus about an “eye for an eye,” that says: “He who kills a man shall be put to death.” They determined that the death sentence was an appropriate sentence. Later, the Colorado Supreme Court ruled 3-2 that bringing in Bibles was improper. It overturned the jury’s verdict, sparing Harlan the death penalty and leaving him to serve life in prison without parole. Jaquie is a hero. Not only for risking herself to try to help Rhonda, but for fighting to survive so she could stop a killer. I’m not sure how many of us would have put our lives in jeopardy to help a stranger. Do you think you would have stopped for Rhonda? Isn’t it crazy how lucky the police were? What if the detective hadn’t wanted to go back to the scene and/or the pager hadn’t buzzed while there? They might never have found it and never been led to Harlan. It is believed that Harlan is responsible for other murders and no doubt he would have killed again had he not been caught. Poor Rhonda was not so lucky. Can you imagine how it must have felt for her to think she’d been rescued, only to be dragged back into hell and further tormented before she was killed? Interesting side note; in 2002, Jaquie was at her daughter, Hannah’s, house. Hannah’s former fiancé showed up, a gun in each hand, waving them around at Jaquie and her daughters. Jaquie told her daughters to get in the house and pulled out a gun she kept in a bag in her wheelchair and shot him in the leg. He survived and was arrested. Kimberly Mangrum became stepmom to two children when she married their father, Terry Mangrum, Sr. During the episode, Kimberly’s stepson, Terry, Jr. is interviewed. He spoke about life with his stepmom. In the beginning, Kimberly worked hard to win his and his sister’s affection. But she soon begins to exhibit mood swings, lashing out for no reason. Kimberly’s main source of contention is the children’s mother, Lee Ann Mangrum, who had full custody. The kids visited their dad on the weekends, but Kimberly wanted full control. She insisted that she begin doing the drop-offs to limit the contact her husband had with his ex. Kimberly uses those dropoffs to taunt and start arguments with Lee Ann. Lee Ann is a loving mother, but Kimberly engages in conflict with her and tries to undermine her role as a mother, every chance she gets. Somehow, and this I never understood, Lee Ann ends up losing custody to the children to Terry and Kimberly. This gives Kimberly even more of an opportunity to terrorize and abuse them. She would have the kids phone their mother and call her awful names and tell her she was a horrible mother. One day in September, Terry Sr. receives a notice to appear in Court. Lee Ann is filing to get custody of her children. Kimberly is enraged. The next day, a fisherman finds a body and a vehicle submerged in Turnbull Creek. Police learn that the dead woman is Lee Ann Mangrum. Authorities speak to the family and are told by Kimberly, Terry Sr. and the kids that Lee Ann came over the night before, with a man named Bob. She was drunk and demanding that Kimberly give her Klonopin. Kimberly did so, and Lee Ann finally left. The police discover Lee Ann’s trailer has been ransacked. They find her son’s DNA in the house and they find cigarette butts outside that contain Kimberly’s DNA. When police question Terry, Jr, he says that when his mom was at the house that night, he wanted to talk to her. After she left, he took Kimberly’s car and drove to her house. She flips out on him and attacks him. In self-defense, he kills her. Believing there is more to it, the police push him. He finally tells the entire story. The night that Kimberly receives the letter that Lee Ann is filing for custody, she goes into the children’s rooms (the daughter was 11 and the son, 15) and wakes them. She tells them to ride with her to the store to get cigarettes. Kimberly drives to the convenience store and after she gets the cigarettes, she tells the kids they are going to make one more stop. She drives them to Lee Ann’s. Terry Jr. is relieved when his mom isn’t home, but as they are leaving, a car passes. It’s Lee Ann. Kimberly turns around and parks behind her. She grabs a bat from behind the driver’s seat and tells the kids to get out of the car. She then begins screaming at Lee Ann. Lee Ann locks the doors, but Kimberly breaks the window with the bat. She pulls Lee Ann out of her vehicle and begins beating her with the bat. She hands Terry Jr. the bat and tells him to finish her. He then beats his mother. Kimberly holds a knife to his side and tells him to help get his mother into her car. Afraid for his life, he does as she says. She instructs him to drive Lee Ann’s car and follow her, and he does. She leads them to a creek. They pull Lee Ann from the vehicle and Kimberly drives it into the water. She orders Terry Jr. to kill his mother and threatens to kill him and his sister if he doesn’t. He places his foot on his mother’s body and holds her underwater until she drowns. They head back to Lee Ann’s trailer. Kimberly forces her stepdaughter to call her grandmother from Lee Ann’s phone, saying, “I’m scared, please help me.” I’m not sure for what purpose, unless it’s to make it appear she is being attacked. Kimberly holds a knife to the children’s throats and tells them if they ever tell anyone what happened, she’ll kill them both, and their entire family. After Terry Jr.’s confession, police arrest Terry Sr. and Kimberly. Terry Sr. is convicted of accessory after the fact and sentenced to 10 years. Terry Jr. is sentenced to 8 years and Kimberly is sentenced to life. The daughter, Alyshia, is not charged. What a crazy, messed up, tragic story. I am a little reluctant to totally defend the boy. He was 15 or 16 at the time, and a big kid. I’m sure the stepmom had some psychological control over him, but that’s a bit extreme. Surely, he could have driven his mother to the hospital instead of following Kimberly. He’d have had protection from police. Regardless of all that, there is no punishment too severe for the evil Kimberly Mangrum. One of the most captivating and disturbing cases I’ve watched on IDGo is that of Betty Williams. She was a high school girl who was reputed to be promiscuous and dated a lot of different boys. One of those boys was Mack Herring. After Mack broke up with her, Betty spiraled into depression. She began making comments to her friends about wishing to die so she could leave this world for a better place. She said she would take her own life, except she didn’t have the courage. She asked a few of the boys to kill her, but they refused. None of this was taken seriously by her friends. One morning in March, 1961, Betty’s parents reported her missing when she didn’t show up for breakfast or for school. Police began interviewing her classmates. A boy named Ike Nail stated he had driven her home from drama rehearsals the night before her disappearance and dropped her off at around ten. Betty asked him to return in half an hour and meet her in the alley behind her house. He did and she climbed into his car, wearing pajamas. In a few minutes, Mack Herring pulled up behind them. Betty said, “I didn’t think he’d come. I’ve got to call his bluff, even if he kills me.” She got out of Ike’s car and into Mack’s. Police interviewed Mack, who claimed he’d dropped Betty off at home later that night. Some of the story was inconsistent and the details did not quite add up. The detectives pushed him, and he finally broke down and told them what had happened—or at least what he claimed had happened. He led the police to a stock pond in a secluded spot on the outskirts of the city. Once they arrived, he waded into the water. Shortly, he headed back toward them, dragging Betty’s body with him. He claimed he had shot her because she begged him to. He said that when he picked her up that night, they drove out to the pond where they parked the car and discussed the killing. She then exited the vehicle, seeming to be happy Mack had agreed to her request. “Give me a kiss to remember you by,” he had said to her. They kissed and when she pulled away, she got down on her hands and knees and told him ‘Now’. Mack Herring raised the shotgun and fired, killing her instantly. After she was dead, he wrapped her body up, weighed it down with a heavy object, then dumped it in the stock pond. Mack was found not guilty by reason of insanity. Some people say that Betty’s request to Mack was actually a ploy to make him see how much he cared for her. 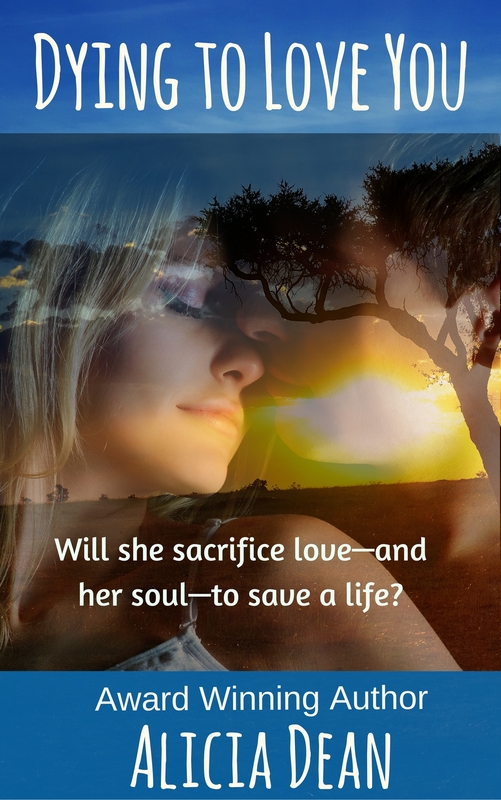 She hoped he would refuse to kill her and instead declare his love. How sad and tragic. Young girls that age can be dramatic and immature. In Betty’s case, it cost her her life. What do you think? Should Mack have been found not guilty, or should he have been punished for his crime?